Telemachus: Obama, Benghazi and Mark Sanford? 'The more words it takes to explain something, the more likely it is that you are lying'. Think about it. It is always easier just to tell the truth and take your lumps and get over it somehow. 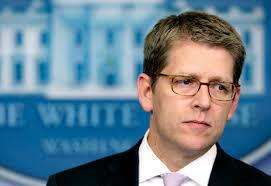 The verbal and linguistic contortions that poor old White House spokesman Jay Carney has been making on the behalf of the Obama White House and former Secretary of State Hillary Clinton have been painful to watch. You feel like the poor guy just knows that if he slips up one time, just one time, he will fired or reassigned to some diplomatic post in an unprotected place like Benghazi was before the terrible attacks occurred on September 11, 2012. You want to see some other similar 'contortions' of the English language by White House Press Spokespeople? Go no further than poor old Ron Ziegler in the Nixon White House. That poor guy had to defend the indefensible for close to 2 years until the Watergate tape came about and undid every single fabrication the Nixon White House had come up with until then. 'Watergate was just a botched third-rate burglary' Mr. Ziegler often said. We had close to a 2-year period when President Bill Clinton lied about his involvement with intern Monica Lewinsky. What would have happened had he admitted his failure and asked for forgiveness early on? The American people would have forgiven him. Heck! They have forgiven him 70 times 7 since he left office! Look at former Congressman/Governor-now-Congressman again Mark Sanford of South Carolina. He just got re-elected to his old congressional seat against Stephen Colbert's sister despite going through one of the most painful public divorces of modern political history. It is not the 'lie' that does politicians in. It is the 'cover-up'. The Obama White House and President-in-Waiting Hillary Clinton have to be concerned about any more delays in the truth coming out over Benghazi. Every day that passes with some new revelation or congressional hearing that slowly peels off the outer skins of the onion that actually happened at Benghazi is another day that makes it far harder for the American people to forgive them both once the truth does in fact come out. Far be it from us to offer any political advice to the Obama White House since we have been pretty open about where we think they are seriously off-track in their tax, budget and health care policies. The night of September 11, 2012 was a horror story for everyone of us at the State Department and the White House. We lost the lives of 4 Americans including our ambassador to Libya, Chris Stevens and 2 Navy SEALS who fought valiantly against the marauding crowd. I accept full blame for this terrible outcome. John F. Kennedy accepted full blame for the failed Bay of Pigs invasion in Cuba in 1962 simply because he was the Chief Executive Officer of the United States at the time. I am doing the same here with Benghazi. This diplomatic outpost was undefended which is unacceptable and will never happen again. I will make sure as Chief Executive of our government that no diplomatic or consular mission anywhere in the nation will ever again go without a full detail of Marine support and protection. What happened on the night of September 11, 2012 was a sad combination of human error, conflicting information and my lack of direction and oversight when the attack began. I was fully engaged in a presidential campaign and my attention was sadly too focused on my re-election. I went to bed early to get ready for a campaign fundraising flight to Las Vegas the next morning and perhaps my assistants took me at my word to 'not bother me' that night too seriously. Regardless, I take full responsibility for this tragic loss and promise to not let it happen again anywhere over the remaining 3.5 years of my term in the Oval Office. I hope you will forgive me, even though I have no business asking the families who lost loved ones in this dreadful attacks for their forgiveness at all. Thank you and God Bless America even though we often fall short of the standards set forth by our Founders. Maybe this would work. Maybe not. Second term presidencies almost always shoot themselves in the foot by trying to shave the corners just a bit too much or getting too clever or too cute by a factor of 10 instead of a factor of 2. Barack Obama will be doing the same 'wishing' unless the total truth comes out about Benghazi. Although now he has this little problem of the IRS probing the Tea Party activities to explain as well. The sooner the better for him and the nation.